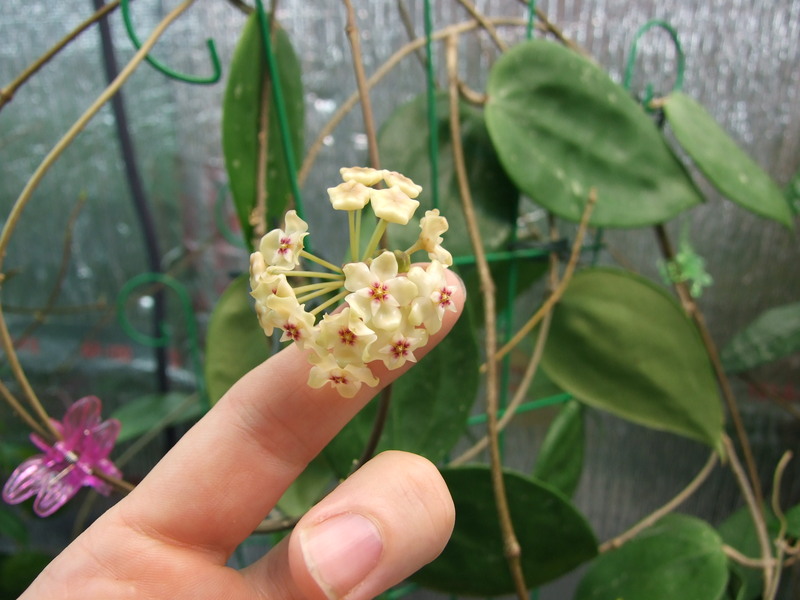 Hoya citrina is a plant that I have struggled with for a quite a long time. I have started it over twice, because of killing it in the main house from overwatering and dry conditions. 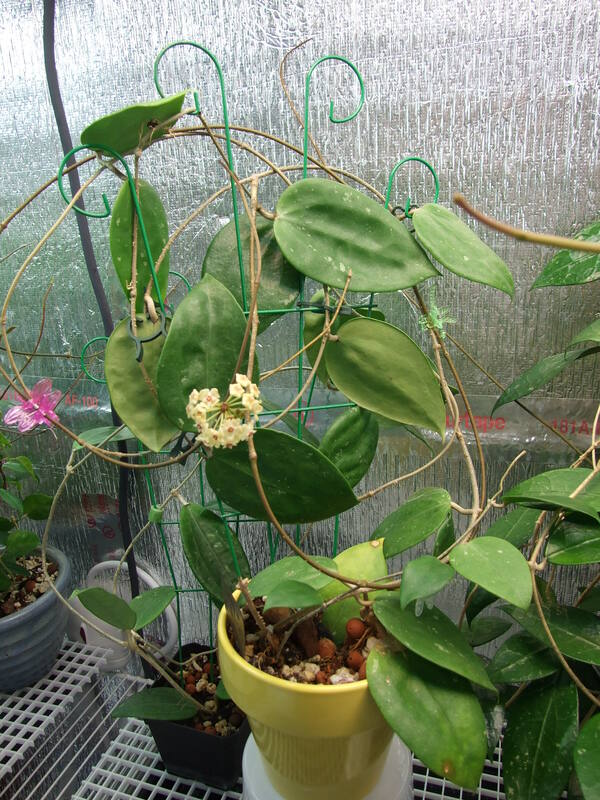 I think that if one is to grow this plant well where I live (Cold, Dark, VT), it needs to be grown in a greenhouse during the summer, and under the lights with lots of humidity during the winter. 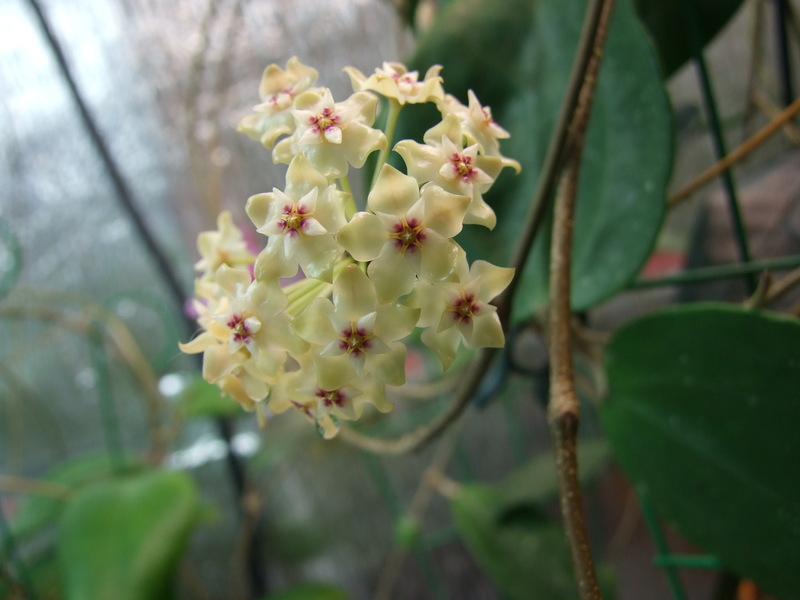 It can be quite a nice plant, but won’t tolerate “normal” in house winter conditions in the Northeast. 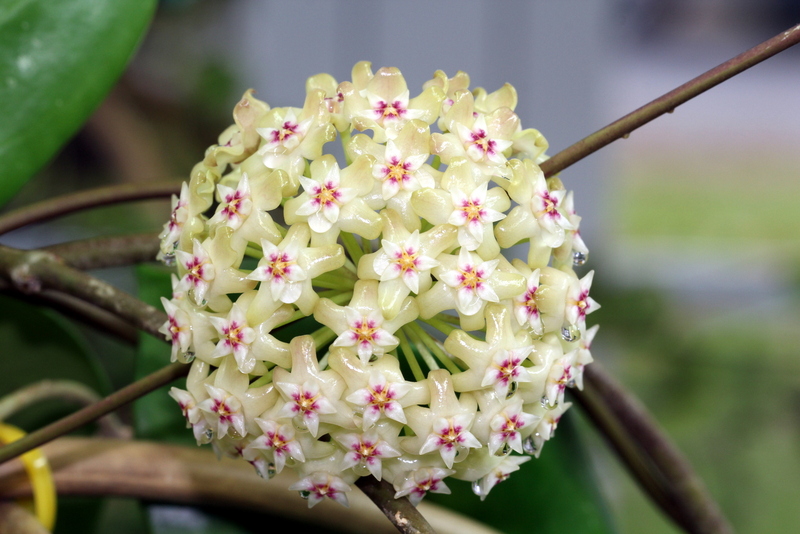 The plant has a lovely scent, and I reccomend it for those who can provide the right environment.